If you ask me about the most interesting gadgets I’ve tried in the last year, I will recommend a camera drone and a VR headset. 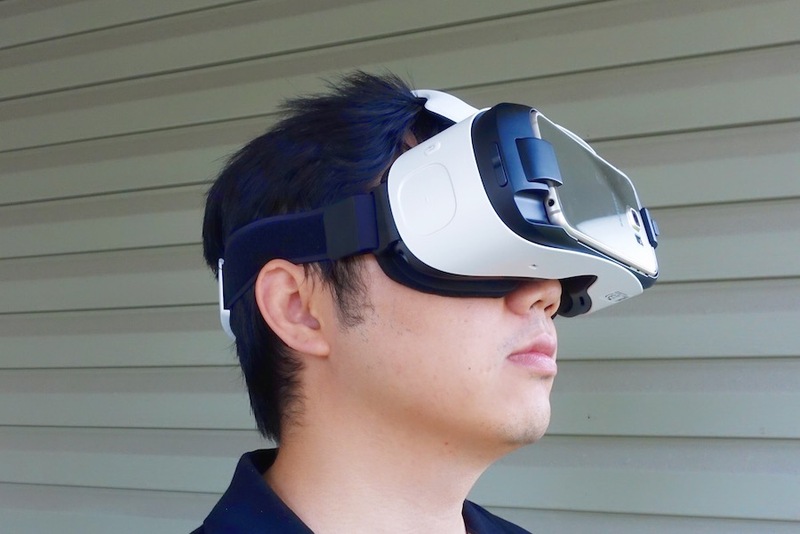 I got a chance to use the Samsung Gear VR Innovator Edition for Galaxy S6 in the past few weeks. This is not perfect but I’ve had a lot of fun. Keep reading my review for more details of the product. 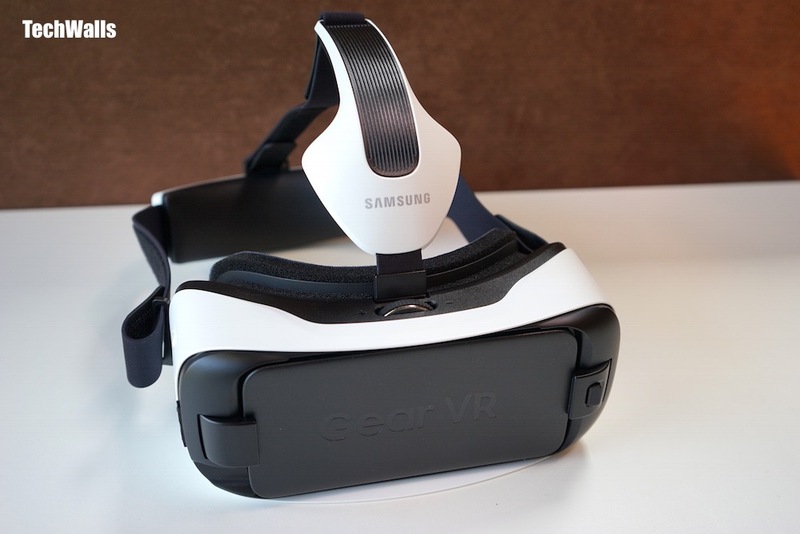 You might find the Gear VR for Galaxy S6 familiar, it is because it has a similar design as the Gear VR for Galaxy Note 4 released last year. It might looks the same but there are some significant improvements from the inside. The most important change is probably the built-in fan on left side of the headset, the fan is not visible but it is there to help reduce lens fog. It can’t solve the issue as the lenses still get fog up after a while, especially when the temperature is higher than 75 degrees Fahrenheit. Another fan aiming at your head or body will absolutely be useful in this case. Some other improvements include a lighter body, a mini-USB port to power the headset or connect VR accessories. The touchpad and back button are still on the right side of the Gear VR. It also leaves space for you to plug in your headphones. The headset is made of plastic but it is very sturdy. If you are disappointed with Google Cardboard, you should give VR another try with the Gear VR. The Gear VR is pretty easy to set up and start using. Just snap in your Samsung Galaxy S6 or S6 Edge and follow on-screen instructions to install required apps. Some apps are quite heavy, so it might take a while to download and install them. 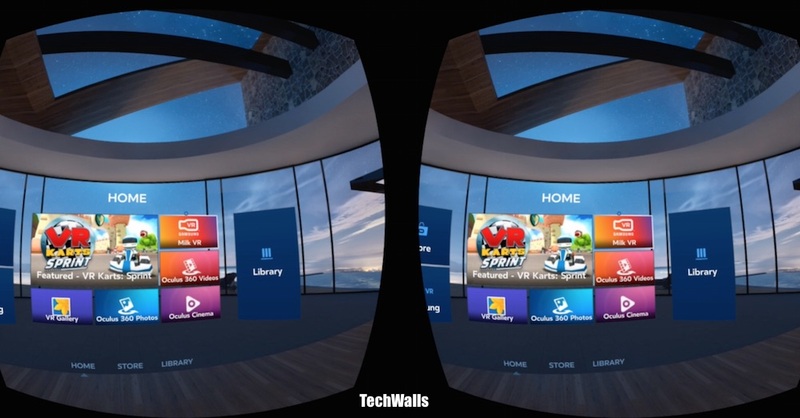 After the process is completed, you will see the Oculus home screen with some recently used apps and access to Store and Library. Your head acts as a mouse, a pointer always stays at the center of the screen and you can move your head to point it to the right place. Select an app and tap on the touch pad and you are ready to go. The control is quite intuitive and there is almost no learning curve here. As the content on Oculus Store and Milk is not so abundant, you can watch your own videos on the Gear VR. You can use the Oculus Cinema app to get immersed in a cinema, I really love the experience of sitting in the virtual cinema watching my favorite movies on a huge screen. I also had a guide to watch 360-degree videos on the Gear VR, so you can download and view 360 videos on Youtube 360 as well. At the moment, there is no Youtube app on the Oculus Store. I can use the Gear VR for more than 30 minutes without any overheating issue, however, I’d recommend you to turn on the air conditioner or at least a fan to make the experience last longer. Another problem is that the screen is still not sharp enough. The Galaxy S6 screen is gorgeous and incredibly sharp for normal use but it still doesn’t have enough pixel for the Gear VR. It is like watching a 360p or 480p videos on Youtube. I expect the upcoming Galaxy phone with 4K display will eliminate the screen-door effect. 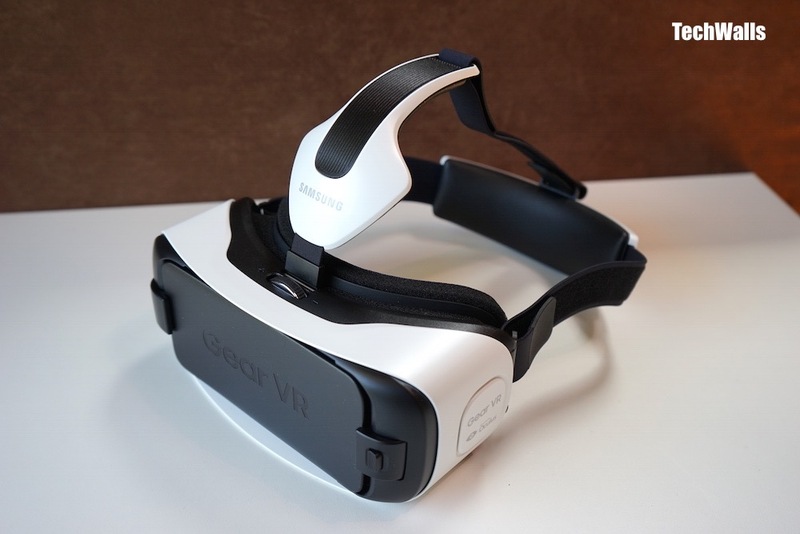 The Samsung Gear VR for Galaxy S6 is available on Amazon. This is the best VR headset at the moment and I totally recommend it if you want to give VR a try.